This week we feature “3 Questions” with Finn Murphy, author of The Long Haul: A Trucker’s Tales of Life on the Road. Years ago, Mr. Murphy dropped out of college and started his long stint as long-haul trucker, covering covered more than a million miles to date. In The Long Haul, Mr. Murphy offers a trucker’s-eye view of America, reflecting on work, class, and the bonds we form throughout our lives. Mr. Finn will appear at the Norwich Bookstore at 7 pm on Wednesday, November 8th. This Norwich Bookstore event offers an excellent opportunity to listen and learn about life in America today, from a perspective many of us do not encounter in our daily life – that of a long-haul trucker. This event is free and open to the public. However, reservations are recommended as space is limited. Please call 802-649-1114 or email info@norwichbookstore.com to save a seat and/or secure your autographed copy of The Long Haul: A Trucker’s Tales of Life on the Road. (We think this might be a great holiday gift for so many on your lists – for those of you already shopping). 1984 because George Orwell completely nails authoritarianism. It’s attractions, it’s method, and it’s ultimate goal. Anything by John McPhee, let’s use as an example Uncommon Carriers: Really good writing can describe anything and make it interesting. My book goes into many arcane details about truck-driving and moving people and I always had McPhee in mind when doing that. Tinker, Tailor, Soldier, Spy by John LeCarre because it shows how complicated betrayal can really be. Herman Melville. We both liked manual work, did manual work, and wrote about manual work. Melville would have been very much at home in a moving van on the road. It’s not a lot different than a whaling vessel. Hard labor mixed with boredom, travel, horrible clean-ups, and an amazing perch to observe human beings at their worst. A Legacy of Spies by LeCarre. It’s the inside story of The Spy Who Came in from the Cold. That’s a great book! Maybe 160pp, but like Gatsby, puts it all in where it needs to be and nothing extra. Almost perfect writing. I say that for both. I flatter myself that I’m the world’s foremost authority on the LeCarre opus. Ranger Games by Ben Blum. Recommended by a bookseller at an event. Army Ranger robs a bank. His cousin wants to know why. Riveting. Girl Waits With Gun by Amy Stewart. I’m no book snob. I’ll read anything, almost. I haven’t cracked this yet but when the time comes for just plain entertainment, there it is. As part of our mission to promote authors, the joy of reading, and to better understand the craft of writing and the living of life, we’ve paired with the The Norwich Bookstore in Norwich, Vermont to present an ongoing series entitled “3 Questions”. In it, we pose three questions to authors with upcoming visits to the bookstore. Their responses are posted on The Book Jam during the days leading up to their engagement. Our hope is that this exchange will offer insight into their work and will encourage readers to both attend these special author events and read their books. Today, we feature Michele Campbell and her thriller It’s Always the Husband. Ms. Campbell, a New York native and resident of the Upper Valley, has taught law at the Vermont Law School and served as a federal prosecutor in New York City. Ms. Campbell is a graduate of Harvard University and Stanford Law School. Ms. Campbell will appear at the Norwich Bookstore at 7 pm on Wednesday, May 31st to discuss It’s Always the Husband. Reservations are recommended as they expect seats to “sell out”. Call 802-649-1114 or email info@norwichbookstore.com to reserve your seat. As a girl, I read The Witch of Blackbird Pond by Elizabeth George Speare and Little Women by Louisa May Alcott on repeat. I would literally finish the last page of these books and start over with the first. Both books had strong female protagonists who struggled to navigate the stifling expectations set for girls in their time and place, and had loving yet complicated relationships with their female family members. In high school, The Great Gatsby, with its impeccable prose and focus on issues of social class, caught my imagination. These three books shaped my interest in writing crime stories that explore issues of women, society and social class. Margaret Atwood. The Handmaid’s Tale and The Blind Assassin are two of the greatest books written in my lifetime, and I’ve read them both numerous times. She is astonishingly prolific, and I would love to ask her about the glorious span of her career – how she writes, how she manages so many projects, and how she moves, seemingly effortlessly, between genres. Ultimately, I just think she would be inspiring to talk to. She’s a visionary, a feminist, someone with a dark sense of humor and refreshingly strong opinions. I love her. How much space do I have to tell you about all the wonderful books in my TBR pile? Like many writers, I’m a book hoarder. Between my actual, physical nightstand and my e-reader, I have enough books to keep me busy for months, if not years, to come. Some current notables: The Gunslinger by Stephen King, The Woman in Cabin 10 by Ruth Ware, Chronicle of a Death Foretold by Gabriel Garcia Marquez, Where It Hurts by Reed Farrell Coleman, Quiet Neighbors by Catriona McPherson, The God of Small Things by Arundhati Roy and A Passage to India by E.M. Forster. 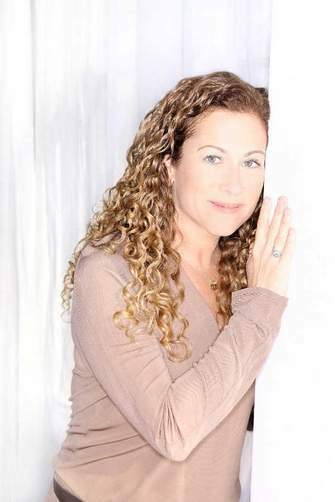 We’re thrilled to welcome New York Times Best Selling Author Jodi Picoult, author of the new novel Lone Wolf , to the Book Jam’s “Three Questions”. 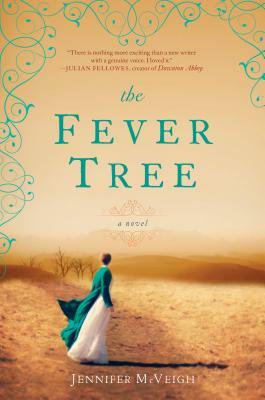 As part of the Norwich Bookstore’s author visits, Jodi will kick off her latest book tour at Simon Pierce in Quechee, Vermont on February 28th at 9 am. She will read from and discuss her newest book, Lone Wolf, a story about an estranged brother and a sister who must decide the fate of their father -a wildlife biologist famous for living with a pack of wolves – who lies in a coma in a New Hampshire hospital. This book explores the bonds of family love, the protection and strength they are meant to offer, and the intersection between medicine and moral choices. For more information about the bookstore, upcoming speaker engagements or to reserve a seat, simply click on the following link for The Norwich Bookstore. But hurry because seats for this event are almost full! And this one’s a little different than usual: the $36.00 fee includes entry to the event, a signed copy of Lone Wolf, and light refreshments. We hope many of you are able to make it to this exciting book launch party! Now, Jodi’s responses to our three questions. Gone with the Wind– made me want to be a writer and create a world out of words; The Great Gatsby – my first experience with an unreliable narrator, and ever since then, I’ve loved exploring the discrepancy between what the reader knows and what the narrator knows; The Sun Also Rises – the parity of language that is Hemingway’s hallmark always reminds me that less is more; and that there are times words fail us when we try to describe moments of great emotion. Shakespeare. I swear, I sometimes think that man created all the stories in the world. We just recycle them. Plus – getting Romeo and Juliet to speak for the first time in a sonnet…? BRILLIANT. The Good Father by Noah Hawley (an advance reader’s copy as the book is due in March 2012), and Amy Hatvany’s Outside the Lines.